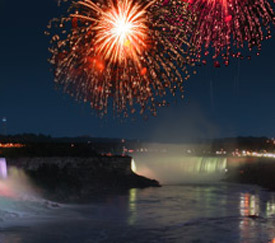 Come to Niagara Falls to see the sky light up every Friday, Sunday and holidays. Every summer, tens of thoussands of people come to Niagara Falls to watch this spectacular event, which is held rigth in the Niagara river and above the Falls. 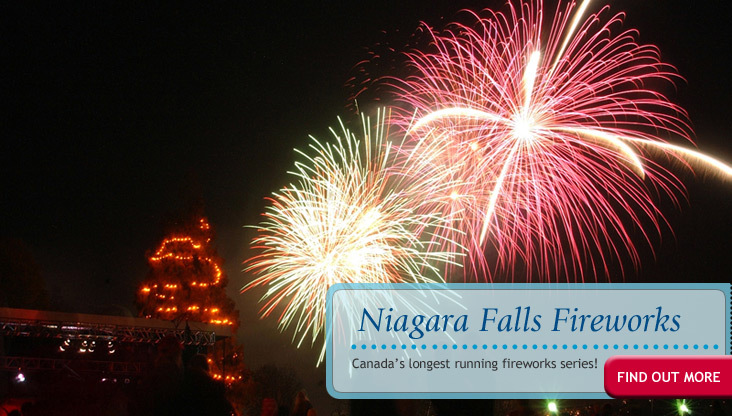 The spectacular fireworks show begins after the sun sets (10:00 PM) with an impressive display of fireworks viewable from many restaurants or the parks along the Niagara River. Come early to secure a good spot and to enjoy the free Coca Cola concerts at 8:00 PM.